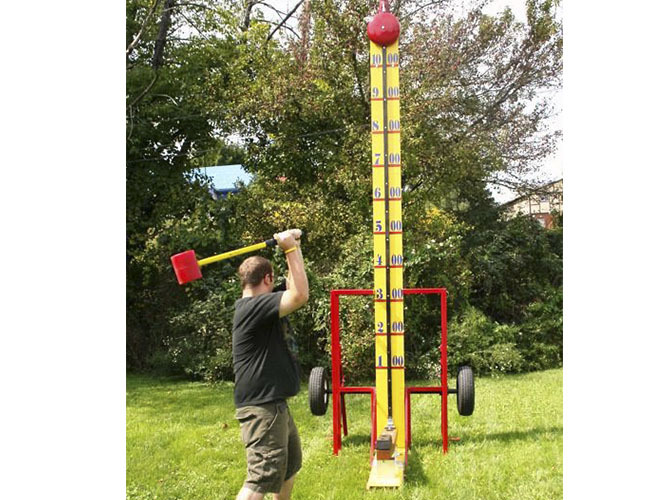 High Striker is fun and healthy carnival game, has been for many years a great success at fairs , festivals, party and events. Its adjustable settings make it a real challenge for men , women, and children alike. The aim of players is to ring the bell suspended on top of the tower. If the lever is struck with enough force, the puck will rise high enough to hit the bell, indicating a success.